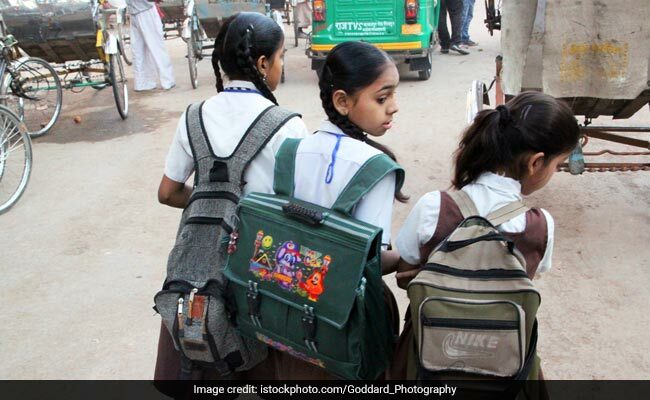 New Delhi: In a move to regulate the teaching of subjects and weight of school bags, MHRD has instructed all States and Union Territories to frame guidelines. The guidelines to be framed should be in accordance with the Government of India instructions. The Ministry has also asked all schools that fall under the Department of Education to comply with government instructions pertaining to homework and weight of bags with immediate effect. The MHRD circular in question has laid out specific instructions which should be implemented with immediate effect by all schools under the Department of Education. Schools can no longer assign homework to students of classes 1 and 2. In the matter of subjects, MHRD has said that schools can not prescribe any other subject except Language and Mathematics for class 1 and 2 students and Language, Mathematics, and EVS for class 3 to 5 students. Schools are also not allowed to prescribe any additional books, and extra materials to the students. MHRD has also fixed the allowed weight limit for students. Weight of school bag of classes 1 and 2 students shall not exceed 1.5 Kg. The allowed weight of school bags for classes 3 to 5 students is 2-3 Kg, for classes 6 to 7 students is 4 Kg, for classes 8 to 9 students is 4.5 Kg, and for class 10 students is 5 Kg. In May 2018, the Madras High Court had asked Centre to instruct State Governments to regulate weight of school children’s bags and do away with homework for classes 1 and 2. The weight of school bags as well as the amount of homework given to students has been in the limelight for quite some time now. In 2015, Centre had issued a guideline to reduce weight of school bags. In April 2016, CBSE too issued a notice to all its affiliated schools to employ methods to reduce the weight of school bags for students. It iterated that schools should make sure that students carry only such textbooks as necessary as per the time-table. In 2016 MHRD also began a pilot project in 25 Kendriya Vidyalayas to reduce school bag weight by providing tablets to students to help learn core skills in Mathematics and Science digitally.